Aligarh Muslim University is one of the central University in India. It offers various Undergraduate and Postgraduate courses in various subjects. Thousands of students appear for the entrance examination of Aligarh Muslim University. 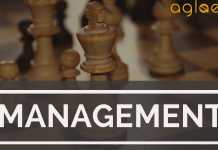 The AMU MBA entrance examination 2019 is also conducted by the University. The eligible and interested candidates are able to apply for the entrance examination from the official website of Aligarh Muslim University at amucontrollerexams.com. AMU MBA entrance examination 2019 will be conducted in May 2019. The details regarding the examination such as eligibility, application process, selection criteria, exam pattern, admit card, result and the dates for the AMU MBA entrance examination 2019 are mentioned below in this article. Latest: Last date for submission of AMUEEE 2019 Application form will an additional late fee is between March 08 to 12, 2019. Click here for more details. The dates for the AMU MBA Entrance examination 2019 are given below in the table. Only date of AMU MBA Entrance examination 2019 has been announced and all the other dates in the table are expected dates are tentative. We will update the actual dates as soon as it will be announced officially. The admission to the MBA course will be done on the basis of fulfillment of the eligibility criteria and marks obtained in the entrance test by the candidate. To apply for the AMU MBA entrance test 2019, candidates must be eligible for it as prescribed by the University. Eligibility rules as specified for each course shall be strictly followed and shall not be relaxed under any circumstance. Candidate should satisfy himself/herself that he/she fulfills the eligibility requirements prescribed for admission to the concerned course of study. To take admission in the MBA course in Aligarh Muslim University through entrance examination the candidate must have completed Bachelors degree in any discipline with at least 50% marks in aggregate from the recognized University. If a candidate fails to prove his or her eligibility for the admission then he or she will not be able to apply or appear for the entrance examination of the particular course. Other than this the applicants must be Indian Nationals only. The application form for AMU MBA entrance examination is released in the month of January 2019. Candidates are advised to read the eligibility criteria before applying for the examination. Only the eligible candidates are able to apply for the examination. The application is available on the official website of Aligarh Muslim University at amucontrollerexams.com The candidates need to pay the application fee to apply for the examination. The application fee can be paid through the online method by using the Debit/ Credit card or by net banking. The application form will be filled directly on the official website through the online mode. Candidates need to fill all the necessary and required information in the application form. The photograph, signature and thumb impression must be uploaded in the correct dimensions, size, and format as mentioned in the information brochure. After filling all the details, candidates have to take a printout of the PDF Generated Application Form on A-4 Size paper. After that attach all the relevant documents along with the application form and submit it in hand or through Registered Post / Speed Post / Courier in a separate envelope for each course of study so as to reach the respective offices A photocopy of the application form must be retained by the candidate for the future use. For more information about the application form of AMU MBA entrance examination, click on the quick links mentioned in this article. Given below is the list of the documents that have to be submitted along with the application form of AMU MBA entrance examination 2019. Scanned copy of date of birth certificate/High School Certificate of the candidate. Scanned copy of documents in support of a claim under special category, if any. Scanned copy of valid GATE Score Card (applicable only for candidates applying for admission to M.Tech. courses in the Faculty of Engineering & Technology). Scanned copy of documents in support of Professional Experience, if any (applicable only for candidates applying for admission to B.E course in the Faculty of Engineering & Technology). Scanned copy of No Objection Certificate from the employer, if employed at present. Note: It is to be ensured that all documents should be uploaded in JPG/JPEG format only and their individual size should lie between 200KB to 2MB. The selection of the candidate in the MBA course in the University will be based on the marks obtained in the AMU MBA entrance examination 2019. The candidates who shall qualify the examination will be admitted in the course through the counseling round. The selection will be done on the basis of written examination and the interview/ Aptitude Assessment/Group Discussion. The candidates who will qualify the written examination will be eligible to appear in the interview round/ Group discussion and aptitude test. Note: For the candidates who qualify written test, physical presence in the Interview / Aptitude Assessment / Group Discussion is compulsory to become eligible for selection. 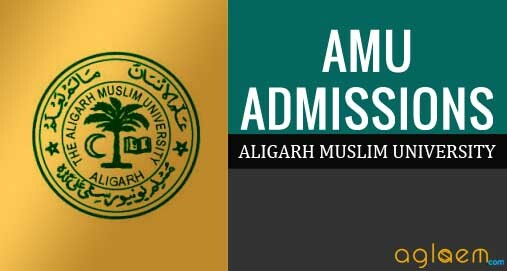 The admit card of AMU MBA entrance examination 2019 will be published on the official website of Aligarh Muslim University at amucontrollerexams.com. No admit card will be sent by post or any other medium. It will be available online before the commencement of examination. After the admit card is released download the admit card, candidates will be required to paste their recent passport size color photograph in the space provided for that purpose. The admit card will be the key to the examination hall. Candidates must take a printout of it and retain it till the admissions. No candidate will be allowed to enter the examination hall without the valid admit card. The result of the AMU MBA entrance examination will be declared after the successful commencement of the entrance examination. The candidates who shall qualify the written examination will be further called for the interview/ Group discussion round. The lists of candidates that will be shortlisted for Interview / G.D. / Counselling (wherever applicable) and the lists of those selected / counseling (wherever applicable) for admission will be displayed on the Notice Boards of the concerned Faculty / College / Centre / Proctor’s Office / Controller’s website at www.amucontrollerexams.com. No information of selection will send personally to the selected candidate. The University will also release the waiting list in addition to the list of selected candidates. The names that will be present in the waiting list will not be given admission but will have a chance to get admission in case of vacancy arises. For detailed information about AMU MBA 2018 Admission download the Admission Guide. after completing the application process online, do i have to sent it via courier? Also, will they accept my form as the last date is 06.03.2019. I have completed the online process. Yes, submit it in hand or through Registered Post / Speed Post / Courier in a separate envelope for each course of study so as to reach the respective offices.